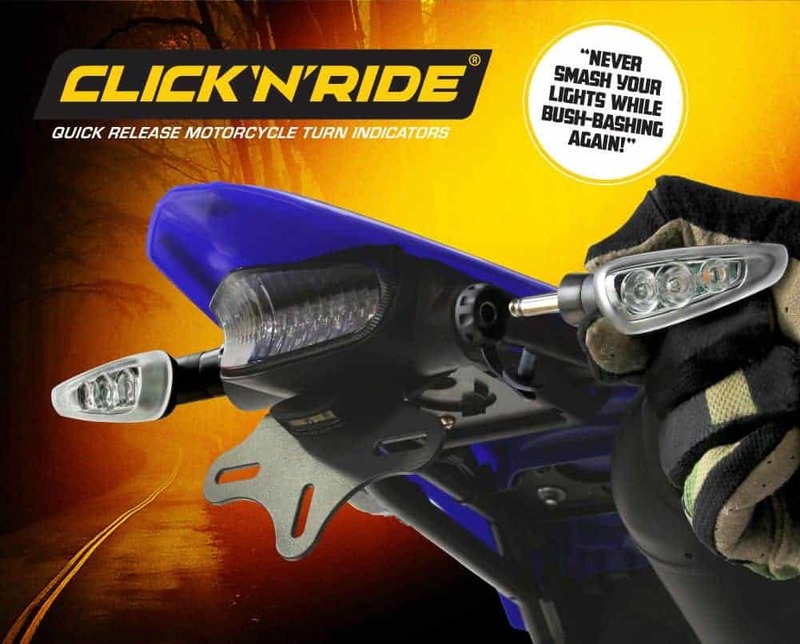 Reserve your set of the new CLICKnRIDE removable indicators. Production will be completed 7 July with stock arriving end July/early August (exact date depends on shipping and customs clearance). Be amongst the first to receive the new CLICKnRIDEs… fill in your details to reserve your set and go on our VIP list to be notified as soon as stock arrives. Please indicate which product you are pre-ordering. NOTE: Resistors not included in Kits.